By The Shore Stamping with Jen Pitta: I LOVE Stampin' Up! 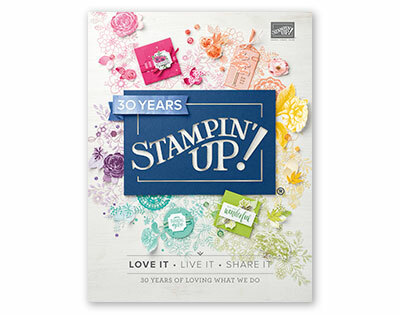 I've always thought Stampin' Up is a great company to work for/with... and after returning from my first Leadership conference in Phoenix, Arizona, I am even more happy with this organization that I have chosen to represent. Just look at all the goodies I took home from Phoenix. Now, the adorable little canvas bags I paid for at Memento Mall (a fabulous little store made up of all Stampin' Up logo merchandise), but the rest of the goods were FREE! The black and white bag in the corner was our Leadership bag. At each Stampin' Up event, attendees are given a bag to tote around all their really cool swaps, purchases and freebies. This bag says "Love What You Do", which was the theme of Leadership. You'll also notice two stamps sets there... the smaller one is "With All My Heart," which was given to all demonstrators attending in their Leadership Bag. As many of you know from all the samples I've shown of that stamp set, that I love it and... I already own it, which means... someone is going to win the one I got at leadership very soon! (I'll have details on how in a later post). Shelli really likes the vintage style and this card shows off her talents as a vintage card maker fabulously. So after she showed us the card, she said, "You all recognize the stamp set, right?" But, of course, we didn't as we've never seen it before. It was then that she announced that all of us were getting it FREE -- Yipee! I really love the stamp set and can't wait to play with it a bit. You'll also notice a bunch of cards and the little milk carton and a scrapbook page. Those were our make and takes that we made at Leadership. I'm missing one little tag - as I messed mine up (yes, us demonstrators are not perfect either!! hee hee) and will have to cut a new cardstock base for my tag.... I'll show you it later when I recreate it. Lastly is the quilt square that is still in packaging. Amazingly, 15 women from Stampin' Up's stamp manufacturing facility in Kanab, Utah brought in their own sewing machines and made 1,000 of these for the demonstrators. How cool is that? We each received a quilt square to help spread the word that the Big Shot is fabulous for making quilts, aprons, throw pillows and so many other cool fabric projects (the flower was made using the five-point star Bigz die). I'm telling you, I am sooo not a sewer or quilter, but with some of the demonstrations we were shown I am so inspired to give it a whirl. What's sad is my Mom is an incredible seamstress and can make pretty much anything. She is known for going to craft fairs and buying crafty little items so she can tear them apart (GASP!) and learn to make them herself. She has made me several quilts and blankets over the years and has even tried to teach me to knit and sew on many occasions. I would sooo love to surprise the heck out of her and make her a little throw quilt using the Big Shot. I'm thinking I might be able to handle a very simple quilt with all straight stitching (using a sewing machine, of course, which I will also have to learn how to use!). I hope to post some of my favorite swaps as well. I made 100+ swaps to share with other demos and got some great ideas back from some fabulously creative women. 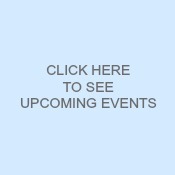 Now this is on top of the fabulous women I have already met in my workshops, classes and clubs. Many of the women in my clubs have become very close personal friends as I often see them more often (once a month at least) than some of my childhood friends! 2. Shelli Gardner. As I mentioned above, Shelli is the co-founder and president of Stampin' Up and she really is an amazing, inspiring woman. She started Stampin' Up 20 years ago with her sister in the living room of her home. She is very genuine and sweet and always has time to chat with any of us demonstrators. 3. Creativity. I always loved art class and drawing, doodling anything crafty really. To be able to have a job where that is necessary on almost a daily basis... well, it doesn't get much better than that. 4. Free Stamps! Of course, I got the two free stamp sets above. Plus, I was asked to participate in a focus group while in Arizona and will earn two additional free stamp sets for that as well. Of course, many of you know that Sale-A-Bration is just around the corner and demonstrators earn tons of free stamp sets for that (including with every $50 I spend on supplies or what have you). We earn additional free stamps based on sales and recruiting, too. Not to mention all the discounted stamps we get for pre-orders of new catalogs and free stamp sets we earn during various promotions during the year. 5. Extra money. I started my Stampin' Up business because I wanted a discount on my wedding invitation supplies (and because I was dreaming about stamps! ), but have quickly come to build a fairly big business in the past four years (one I hope will grow exponentially in 2010). And while the money I earn with this little "hobby" started out as just a way to support my habit, it has become a source of significant income for my household, helping me pay for trips to Phoenix and Christmas shopping, among other things. And while I've already reached my 5 reasons, I just have to add that I really love sharing my creativity with my customers, friends and blog readers and being able to share my passion for all things paper (that has been a mainstay in my life too -- my favorite store as a kid was Staples!). Thank you so much for stopping by and visiting my blog. It really means a lot to me to see what towns and states have visited me -- and I love reading your comments so feel free to share, too. Sorry I've gotten a little sappy on you, but I really am excited about everything I've learned at Leadership and the creativity and enthusiasm everyone shares for this company. It has truly been a blessing in my life. I hope you have a fantastic week... and thanks for stopping by! Wow, sounds like a great convention. Lots of fun.